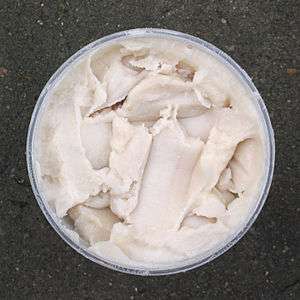 In consumer meat products in the U.S., animal remains are found to be classified as Animal fats when the particle size of bone solids is more than 3 percent, protein content is less than 14 percent and or the product contains over 30 percent pure fat content. Secondly, oils can be heated, and used to cook foods. Oils suitable for this purpose must have a high flash point. Wikimedia Commons has media related to Animal fat products. Wikimedia Commons has media related to Animal oils.